Hair transplant surgery has been heralded by some as the holy grail cure of hair loss. DHT resistant hair is taken from the back of the head and transferred to the front and temples of the scalp. These follicles are your own hair, they blend right in with your remaining hair. Furthermore, hair transplant surgeons claim these are permanent and will grow naturally. This is all done through a few trips to the hair restoration clinic. After that, no pills, no daily Rogaine applications. Does it sound to good to be true? Let’s take a closer look at this expensive hair loss solution. As you can see, hair transplant surgery completed by a skilled professional can have a dramatic impact on the patient’s appearance. Bernstein Medical is located in New York founded by world renowned surgeon Dr. Robert M. Bernstein. Their state of the art facility performs both Follicular Unit Transplantation (FUT) and Follicular Unit Extraction (FUE), procedures which Dr. Bernstein pioneered. They employ the use of the ARTAS® Robotic Hair Transplant system for all FUE procedures. 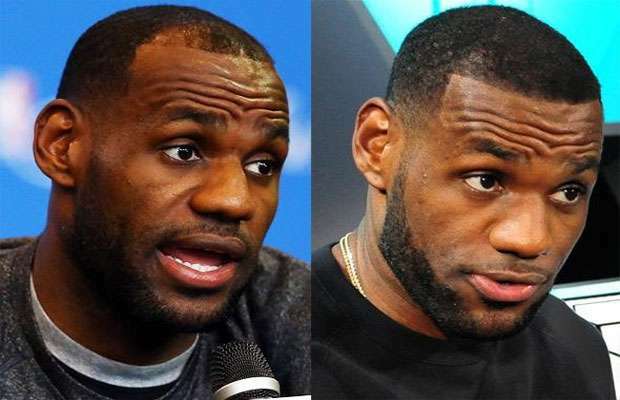 On this page, Hold the Hairline discusses the different types of hair transplant methods, the average cost of the surgery, expectations and results, and looks at a few celebrity cases that are pretty interesting. Does hair transplant surgery work? The short answer is yes. For the long answer, you’ll need to read the rest of the information below. 1 What is Hair Transplant Surgery? This is a surgical technique where the doctor removes healthy, growing hair from a “donor site” and transplants it to bald or thinning areas of the scalp. The method is primarily used to treat genetic male pattern baldness, but those suffering from medical conditions that cause hair loss as well as women have also undergone this surgery. This surgery works because the hair folliciles located on the back of the head are genetically resistant to balding. That is why the final stage of balding for most men will end in a “horseshoe” like pattern. Hair transplantation surgery is also sometimes used to restore or bolster eyebrows, facial hair, chest hair, fill in scars, and eyelashes. There are two popular methods of hair transplant surgery: strip excision harvesting and follicular unit extraction (FUE). Hair transplantation surgery was first seen in Japan in the 1930s, but at this time it was used to replace eyebrows or eyelashes, not balding scalps. It first became seen in the west in New York, when dermatologist Norman Orentreich started experimenting with donor grafts to patients who had male pattern baldness. At this time, most transplants resulted in a doll-like plug appearance. This plug technique was eventually replaced by the strip harvesting technique which results in more natural appearance. FUT: Follicular Unit Transplantation. 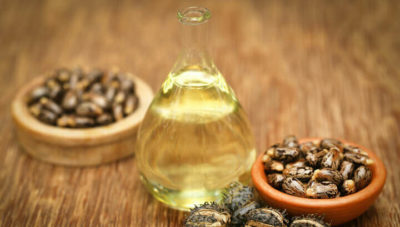 An advanced technique that harvests hair in their natural groupings of 1 to 4 hairs. Each of these natural groupings are referred to as a follicular unit. Strip Harvesting: The most common hair transplant method. The surgeon harvests a strip of skin from the back of the head where there is thick hair growth. Hair follicles are removed from this strip of hair under a microscope, then inserted into the bare parts of the scalp. When done right, this will leave a pencil thin scar on the back of the head which can be easily covered by hair. Recovery period from the strip harvesting procedure is approximately 2 weeks. FUE: Follicle unit extraction. Instead of harvesting a strip of skin, the surgeon removes individual follicular units of 1 to 4 hairs. Though this is more time consuming then the strip harvesting method, no incision needs to be made so there is no scarring on the back of the head. The cost for FUE is generally higher than strip harvesting. Recovery period for FUE is approximately 5 to 7 days. The biggest decision facing someone interested in undergoing a hair transplant procedure is deciding between one of two methods. Bernstein Medical Group advises that people should select a hair restoration clinic that has experience with both FUT and FUE. This is not only an indication of that clinic’s expertise, but also the physicians there will not try to push you in one direction or the other. They will advise you to do what’s best for your personal Norwood Scale situation and desired results. Bernstein has a great write up about the top things to consider in a FUT vs FUE deliberation. As they point out, the key advantage of going with FUE is that you will not be left with linear scarring that may show if you decide to wear your hair really short. The key advantage of FUT is that it typically yields the most amount of hair. If you’re looking to get your thick hair back from your teenage years, FUT is your best chance. Here’s a quick video of a FUE transplant patient, before and after treatment. The average hair restoration procedure transplants 500 to 3,000 grafts. Remember, each of these grafts contain about 1 to 4 hairs. Most hair restoration clinics will charge $3 to $10 per graft. This results in an average cost of $4,000 to $10,000. Mega transplant sessions with 3,000+ grafts will range upwards of $15,000. Most people pay about $10,000 for their hair transplants. There are many factors that contribute to the final cost amount. The hair clinic, the skill and experience of the surgeon, how many grafts, number of sessions, and a number of other factors will effect the price. Paying for more grafts will bring the average cost per graft down. It’s like a bulk discount. Furthermore, the type of hair you have will change the cost. Hair type (wavy, straight, curly), quality (thickness), and color will change the number of grafts required. If you are serious about undergoing transplant surgery, the most important thing is to do your due diligence. Finding a skilled surgeon is paramount to the final result and overall appearance of your new head of hair. Paying slightly extra for a credible surgeon who know’s what they are doing is worth it. Remember, hair transplantation is a team effort. The surgeon works together with a team of technicians to harvest and transplant donor follicles. It is likely that a reputable surgeon will also have a trustworthy, skilled team under them but it’s still a good idea to ask how long they’ve been working with their team and the experience of their team members. In addition, you want a surgeon who is ethical. An ethical doctor won’t promise you the world and set your expectations too high. This will result in disappointment and dissatisfaction. Surgeons who are experienced will be able to give you a realistic idea of what to expect given your allocated budget and balding pattern. You’ll also want to identify surgeons who provide 10 or more sets of before and after photos. These need to be taken from the same angle so you’ll really be able to see the results. Look for signs of editing and/or different lightning, etc. Ask surgeons for references of patients so you can discuss their experiences and whether or not they were happy with the surgeon. Lastly, you can check your state medical board to see if any complaints have been filed for the specific clinic you are interested in. One of the best times to address all these questions and concerns is during your initial consultation. International Alliance of Hair Restoration Surgeons (IAHRS). This is a consumer organization that thoroughly screens for ethical and skilled hair restoration surgeons. American Hair Loss Association. This is a great educational website that gives helpful pointers on finding a surgeon and other such matters. International Society of Hair Restoration Surgery (ISHRS). This is a global non-profit medical association that leading unbiased authority on surgical hair restoration. ARTAS is the most well known robot assisted hair transplantation system. ARTAS is essentailly a robotic assisted fue procedure. It is an FDA approved procedure. One of the main issues hair surgeons run into is fatigue and exhaustion. When upwards of 2,000 hair grafts are required, this can take its toll on any skilled surgeon. This leads to an increase in the potential for mistakes and increased possibility of the restoration doctor to take shortcuts. There is a great opportunity to eliminate human error by streamline the process with a robot. In ideal patients, a peer reviewed study by Rashid Rashid showed yield rates of over 95%. If you are interested in finding a hair surgeon who uses the ARTAS system, check out there search tool here. Robotic arms never tire, and are able to increase the speed of the surgery, decreasing procedure times. Robotic hair restoration uses follicular unit extraction method, though it is much more precise. The robot can detect scalp topography using several cameras. This imaging technology ultimately results in a detailed view of the distribution and angulation of the follicular grafts which enables surgeons to create a more natural looking head of hair. By getting the orientation of the transplanted hair just right, the new hair splays across the scalp surface. This helps the transplanted hair lie across the scalp, providing better coverage. As with any new technology, robotic hair restoration is still being improved and perfected. The size of the punches are relatively large when compared to a FUE method executed by hand. Furthermore, the cost for these devices remains extremely high. This puts them out of reach of many new or smaller hair restoration clinics. Hair cloning is a term used to describe a broad number of laboratory techniques that will solve the problem of hair loss. Today, with over 50 million men and 30 million women effected by hair loss the search for a cure to this condition has received more funding than ever before. One of the biggest limitations on current hair transplant methods is the number of donor hairs available. A surgeon can only take so many strips or grafts before it starts looking weird back there. Hair cloning works by taking a sample of the patients germinative hair follicle cells. These cells are then multiplied outside the body (in vitro). After the desired number of hair follicles are achieved these are then re-implanted into the scalp thus growing new permanent hair in dormant areas. The chief goal of hair cloning (aka hair multiplication) is to solve this problem by providing hair restoration surgeons with virtually limitless hair to work with. That could transform a patient with a full blown horshoe pattern into someone with a teenage hair line. If successful this technology will bring down the cost of hair transplants. There are many companies in various phases of testing for their new hair cloning methods. The field is rapidly developing and solutions are on the horizon. While some of these appear very promising, it is likely they are still 3-5 years out from commercial viability. Here are some words from a guest writer, Hair Restoration Expert Dr. Kapil Dua. You can read more from him on his blog. From the moment you are conceived in your mother’s womb, there are changes that are constantly taking place in your body. These changes are constant and no matter at what stage of life you are, there is bound to be something changing in your body. Similarly, with age, another part of your body that is bound to see some changes is your hairline. While during your youth, you might have had a full head of hair, there is no ascertaining that it will last long. There are actually several people who start seeing massive hair loss in their mid to late thirties and by the time they reach their forties, they have bald patches. For people who are constantly worried about the bald patches on their head, there are methods to handle the same and a hair transplant is fast becoming the most popular option. Although getting a hair transplant is no longer something that you need to ponder about for very long, some amount of thought does need to be put in. For instance, you need to talk to a good doctor before deciding on what kind of procedure you need to undergo. A good doctor will examine you thoroughly, before suggesting the best method for you and will also tell you what side effects could be observed after the procedure. Once your hair transplant has been completed, there will be some temporary hair loss or hair shedding. But this is nothing to worry about, because it is the pre-existing hair that tends to fall out. What happens is that the hair shaft falls out, and then the process of growth starts from the beginning. After the new hair grafts start to take hold, you will notice that your hairline is looking better and this should ideally happen in about three to five months. In case you are not seeing any new hair growth, you might want to head back to the doctor. You are undergoing a surgical procedure, which means that some amount of bleeding is to be expected. If you have undergone a strip surgery or FUT, there will be a lot more bleeding, because there will be a linear cut and a strip of your scalp will have been removed. Even with FUE, there are small puncture wounds and these could bleed. In most cases, the bleeding tends to subside in a matter of hours, if not within a day. However, if the bleeding is not stopping, there could be some other problem, the solution of which will be only in the hands of a doctor. Again, because this is a surgical procedure, there is bound to be some pain. Normally, you will be administered sedation or anaesthesia and that should help with the pain. However, in rare cases, the pain could be extremely unbearable and this would require a pain killer to be prescribed by the doctor. Another common side effect is numbness, which is noticed in almost all patients who undergo a hair transplant. The numbness tends to come because of the nerves getting affected during the procedure. In most cases, this numbness is noticed in the donor area and can last anywhere between three to 18 weeks. However, the numbness tends to resolve on its own over time and does not require any further medical attention. If the procedure has been done properly, there should be no swelling at all, but in the rare cases, even when the procedure has gone flawlessly, there could be some swelling. What is interesting to note is that the swelling presents itself in different ways for different people. While for some people it might be on the forehead, for others it could around the eyebrows or even the eyes. There is nothing to worry about, because the swelling tends to reduce and totally subside on its own. There is so much happening on your scalp that itching is bound to happen and although the itching might seem like a big issue, it is actually not. Normally, the itching will stop on its own, in a few days’ time and all you need to do is ensure that you keep your scalp clean. The itching happens because there are scabs at the transplant site and when you wash your hair, the scabs fall out, reducing the itching in the process. Normally, you will be given a saline or medicated solution, which you will be asked to spray on the transplant sites. The solution will also help reduce the itching. Given the nature of the hair transplant procedure, there are needles being used, there is some amount of blood loss, and even though the hair grafts are from your own head, they are being taken out and put back. All this creates the almost certain possibility of an infection, although the chances are extremely low, when you get the procedure done through a reputed clinic and at the hands of an experienced doctor. If there is an infection detected in your case, a quick course of antibiotics should handle the same. You are undergoing a surgery, and when there is a cut that is being stitched up, there is bound to be a scar too. With FUE, there are only micro scars, almost all of which get covered up, when the hair grows back. However, in an FUT procedure, the chances of the linear scar being a little more pronounced are greater. This is one of the reasons why your doctor needs to work on your donor and recipient areas with care and ensure that when the hair grows in, the linear scar too is covered underneath. So before you sit in that chair for your hair transplant, it is extremely important that your doctor educates you about all these possible side effects in advance. 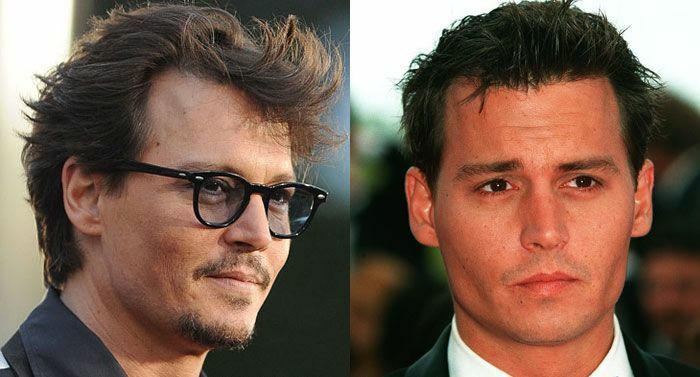 Countless celebrities have undergone hair transplant surgery or use some type of hair piece to conceal balding. Just like in the real world, Hollywood actors also suffer from the culprit known as pattern baldness. 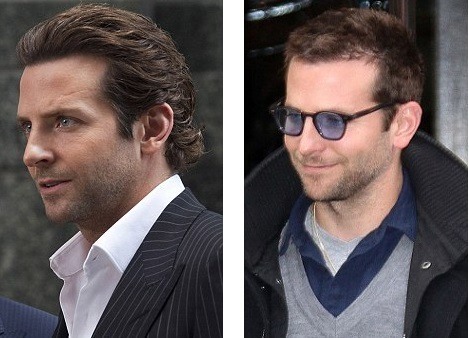 Where movie star good looks are necessity, a thick looking hair line is one of the most important boxes to tick when it comes to appearance features. 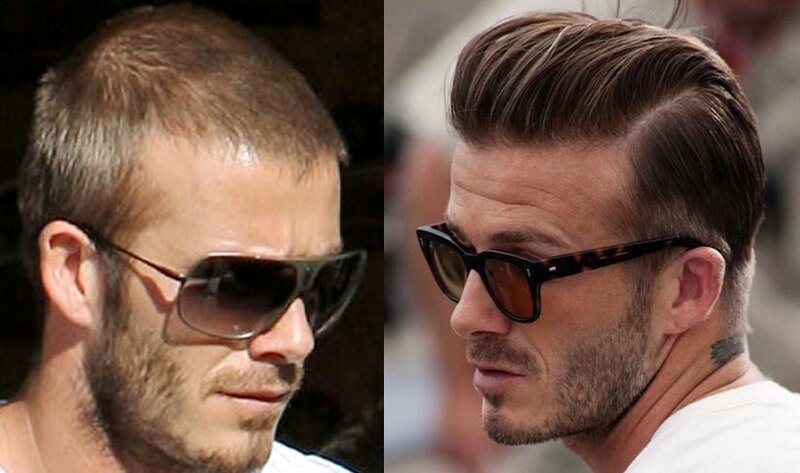 Most actors, professional athletes, and other celebrities get transplants before the hair loss is noticeable. However, there are a number of documented cases where thinning became obvious and the transformation was clearly the result of a well performed hair surgery. One question many people have is whether or not they can get the same results as these celebrities. You can, but you’re going to need really deep pockets. Celebrities’ livelihoods and sustained fame rely on their appearance. Therefore, they are going to the best of the best hair surgeons that command the highest rates in the business. Why Visit a Practice That Specializes in Both FUT and FUE?